Having made delicious tortes for Thanksgiving (and subsequently Christmas Eve with the in-laws) I was eager to try out something new for 'belated Christmas' with my own folks. 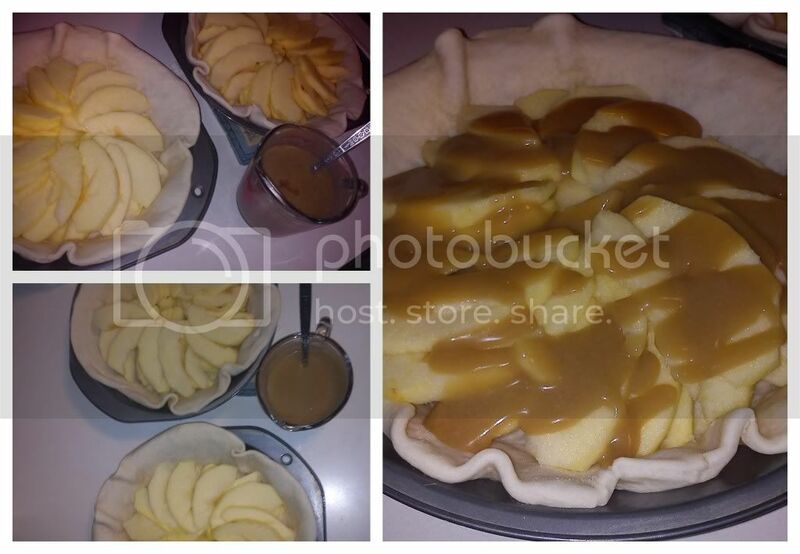 A bit of meandering on Pinterest soon turned up this recipe for Snicker Apple Tart and knew I had to give it a whirl. Using a pre-made pie crust, roll out into a shallow pie plate or torte pan, prick with a fork and bake for about 8 minutes. Meanwhile, peel and core 2 large Apples to be arranged in the pre-cooked pie shells in whatever arrangement you so desire. Over the apples, drizzle 1/4 cup Heavy Whipped Cream mixed with 4 Tbsp. Brown Sugar. Sprinkle with 1/4 cup unsalted Peanuts. Bake for 25-30 minutes. While baking, chop 2 Snickers Bars into bite sized pieces. 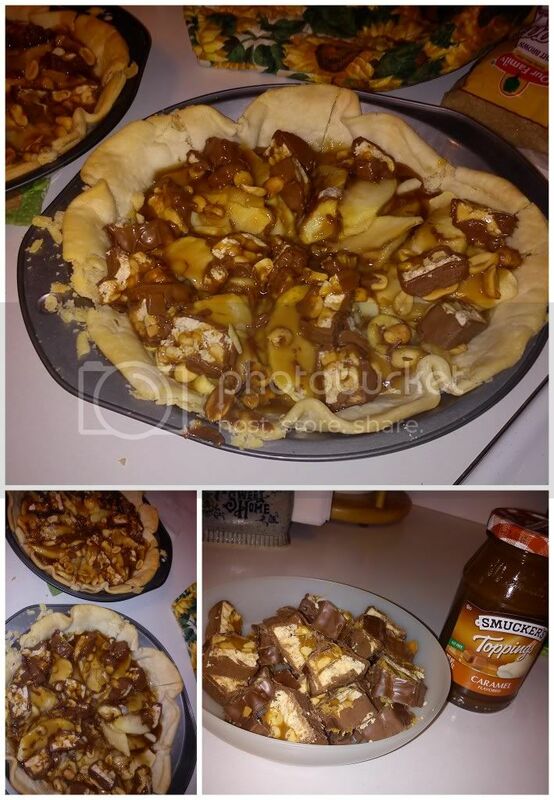 When 30 minutes have passed and pie is ready, remove from oven, sprinkle with Snicker pieces and drizzle with 1/3 cup Caramel Sauce. Let set a few minutes to get melty and mingled.